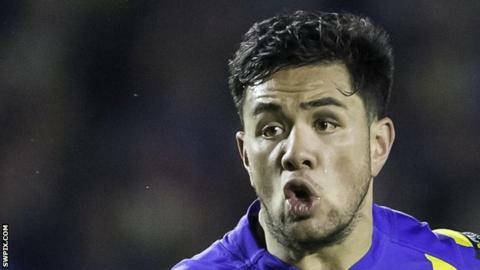 Hull FC have signed former St Helens and Warrington Wolves forward Andre Savelio from National Rugby League side Brisbane Broncos on a three-year deal. The 23-year-old joined the Broncos for 2018, but suffered a season-ending knee injury in his first appearance. Savelio began his career at St Helens, making 42 appearances for the club before moving to Warrington in 2017. "Hull are a big club so I'm really grateful for the opportunity," Savelio told the club's official website. "I'm really excited for this new challenge, coming back to a competition that I know well and get back on my feet again. I'm looking forward to finding that love for the sport again." After coming through the Warrington ranks before joining Saints, Savelio rejoined the Wire for 2017 campaign, and scored nine tries for the club. "Andre is someone in our recruitment meetings we have identified for quite some time and kept tabs on," Hull head coach Lee Radford said. "We had initially looked at him for 2020, so to bring him over early is a great opportunity for both him and us."